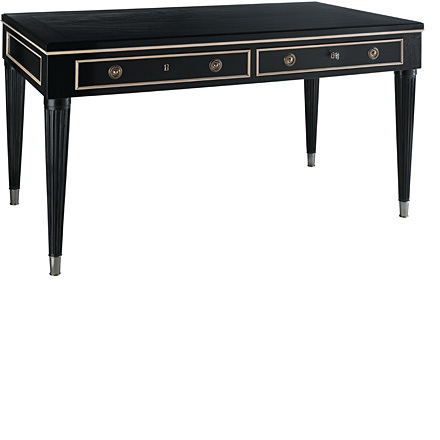 Neo-classical writing desk with rectangular wooden top, raised on tapered fluted legs ending in brass sabots. 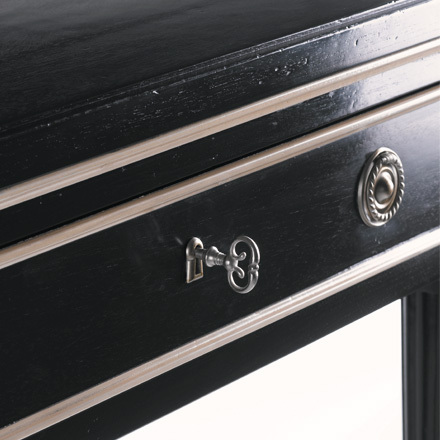 The paneled frieze is fitted at the bottom with two drawers and is outlined with brass borders. 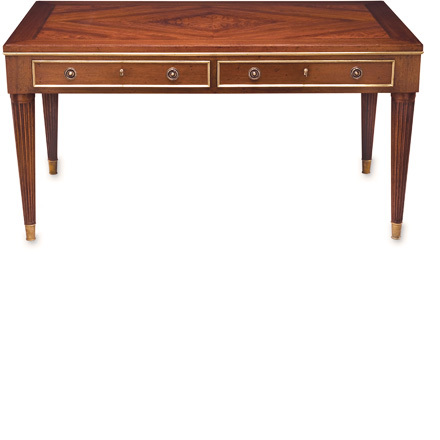 Based on a Charles X brass-mounted bureau, circa 1825, formally located in the New York residence of Mr. and Mrs. Getty. 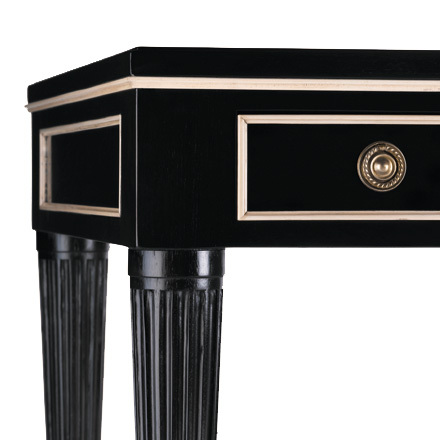 Ebonized wood with faux ivory details and polished nickel hardware.